In this Digital Literacy guide we're looking at an increasingly important area of studying: social learning. 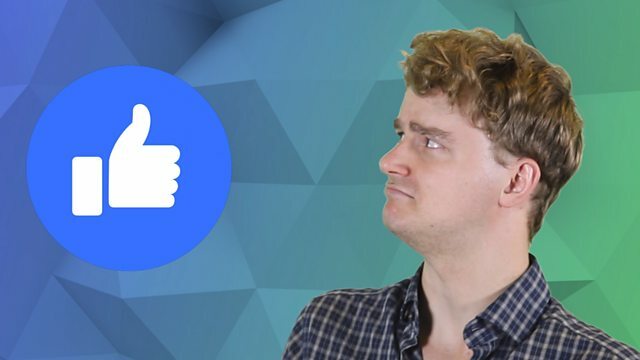 Tim is here to help you give learning the thumbs up! You might think that using your phone and social media just means catching up with your friends – but there's lots more to it. Tim is here to help us discover the potential of social learning. Scroll down to watch the video and pick up some top digital tips. Does Tim love social learning? 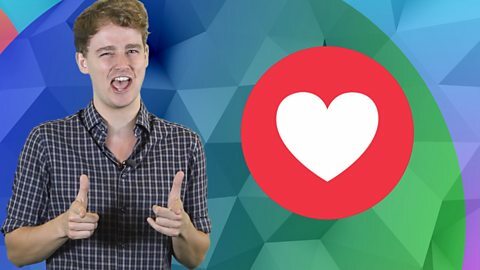 We're talking social learning – and Tim's here to tell you all about it. While you watch, listen out for the WHAT, WHY and HOW of social learning (write them down if you like). You can check your answers – in an activity – below. Oh hey there, I’m just catching up with some friends on our WhatsApp group… and send! Funnily enough, that's what we're going to talk about today: social learning. That's using your phone or a computer to stay in touch with other students as well as your tutors and academic institution – just like you do with family and friends. After all, with one of these, you can be part of a learning community even as a distance learner! Oh, another message arrives! Ha! That is hilarious! So we're talking social learning, but what do we mean by that? Well, it just means using digital networks to keep in contact with other students and academic staff to help your studies go well. You can do that in a couple of ways: one – using the forums & message boards provided by your academic institution. Or two – using the social platforms that lots of people use in your country and around the world. You can usually make private groups here, so you and your fellow students can leave each other messages. Sometimes it will be a requirement of your course to participate on a particular platform - you have to do it. But lots of students want to communicate freely with each other so they set up a private group – that’s up to you. You can do it if you want to. So that's what social learning is, but why should I do it? One – It’s a useful place where tutors can follow up on lectures and webinars by answering questions asked by students, and entering into discussions. Good for your studies! Two – being a student isn't just about studying. It's about making friends and working together too. You can support each other… or just have a gossip. The fact that you can leave messages for each other means you can communicate without having to be online all at the same time. Very useful for busy people like you! Ok, I get the why, but what about the how? Good question! And easily answered. For any social network you need to create a profile. I've done it many times myself, on the old dating sites!! But seriously, for university forums you will need to log in to the system with your username and password before accessing the forums. 'Log in' means 'to connect securely to your own account in a digital service'. Once you are in, you can browse, search or start new threads. You may be able to switch on alerts so that you receive an email when someone else responds to a discussion you are interested in. Also, don’t share personal information like your telephone number, or sensitive information like your best mate’s exam results. Remember, forums always have rules about what is acceptable language and tone, so let's just be nice in there, even if you don't always agree with others. If you are setting up your own network then you will need to create it and then invite others to join. Or if a fellow student has set up a network, then just accept their invitation. And then you can start sharing knowledge, exchanging ideas or just getting to know each other better. Have fun in there! Hahaha! Wow! That's amazing! Check that out! Classic! Social learning: what, why and how? Tim talked about social learning – what it is, why we should do it, and how we can do it. Check that you've understood it all with this activity. What different platforms are used on a distance learning course? Social learning is studying using only social media – true or false? Who can use social learning platforms and for what purposes? Who can benefit from social learning? How can you use university forums for social learning? Here's what we've learned about social learning – using your devices and digital tools to support you in your studies. Did you spot all these tips? Social learning means: using digital networks to keep in contact with other students and academic staff to help your studies go well. Social learning can happen on forums and message boards provided by your academic institution, or it can take place on other popular social platforms. You may be required to participate on a particular platform as part of your course – or social learning might be something you simply choose to do. Online can be a useful space where tutors can follow up on lectures and webinars by answering questions and entering into discussions with students. Social platforms can also be places for students to support each other in their studies – or maybe just have a gossip! Being able to leave messages for each other means you can communicate without having to be online all at the same time – very useful when you're busy! You'll need to set up a profile to get started with social learning and log in if you're using university forums. Be careful! These are public spaces – so don't share personal, private or sensitive information like your phone number (or anyone else's)! To set up your own social learning network, you need to create it and invite others to join. If someone else sets it up, just accept their invitation! That's all for now. Next time, Sian's dealing with IT support. She'll share her top tips for troubleshooting problems with your digital devices. Until then, visit our partner The Open University for more digital literacy tips – just click on the 'Where next?' link.